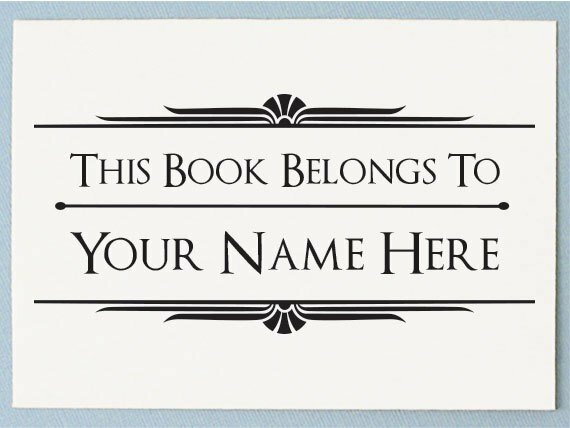 Have you dreamed of seeing a book with your name on it? Would having a book published under your name help get your speaking engagements or enhance your personal brand? Do you have something important to say but don’t consider yourself a writer? Do you want a record of your family history? Are you considering running for office? If so, you may have wondered about hiring a ghostwriter. A ghostwriter is someone who will create content for you that can be published under your name. A ghostwriter can pen anything from the shortest of blog posts to an article for a magazine or a series of books. Just like in any other industry, the contract will be a written record that clarifies objectives and practical matters from the beginning to make sure you get the result you want. Your contract doesn’t have to be overly complicated, but it does need to clearly set out your expectations, as well as include clauses for termination, payment, and ownership transference. That’s because having a book ghostwritten for you is like having a home built. Just like a home, your book is a work made for hire, according to your instructions. And just like when building a home, you need to make the most critical decisions before you get your contractors started. It would be no fun thinking you were going to get a beach bungalow for large family reunions and ending up with a cozy one-bedroom designed for secluded, romantic weekends for two. So, What Kinds of Things Should Be Included in the Contract for a Ghostwritten Book? The final deliverable is what you are paying for. The final deliverable is a manuscript. It is ‘the content’ that can be published under your name. A ghostwriting contract typically doesn’t include a cover design or interior design or specific formatting for an e-book or print production. However, many ghostwriters have connections to publishing and design firms that can help with these services. This is something that should be addressed when discussing the final deliverable. In the contract’s deliverables section, you’ll want to include a rough description of the book. Your deliverable should also indicate your book’s length. How long should your book be? Well, it depends on what you want it to accomplish. Is it a technical manual or textbook of sorts, to establish your authority? Is it a romance novel as a gift for your beloved? Is it a self-help book with a number of pages for readers to fill in answers to exercises? Is it a memoir of a short period in your life or a longer one? Once the purpose of the book is established, your ghostwriter can advise you on the appropriate length. In the contract, the length of a book should be stated as a range of words, along with a rough page estimate for clarity. For example, 20,000 to 30,000 words is about 100 pages. Finally, whether or not you choose to explicitly state them in the contract, it’s critical to set realistic goals for your manuscript. So, your first task is to get crystal clear on what you want your book to do for you. Your book could position you as a thought leader in business, tech, advocacy, or politics. In this case, your book will serve as the foundation for your authority and help you to secure speaking engagements or sell your services. In some cases the book can be leveraged into workshops and seminars and webinars. Your book tells a story – a cautionary tale or an inspirational tale to help others. This would include memoir and self-help books. Remember that book sales rarely make an author wealthy. You shouldn’t expect to recoup the money you spend on a ghostwriter via book sales. So, if increased income is the goal, it’s up to you to set goals that will allow you to leverage your book for speaking engagements, or c-suite job offers, or the like. This part of the contract gets into the nitty gritty. You may think that the services provided by a ghostwriter would be fairly straightforward. Yes, but they may (or may not) also proofread, edit, organize, research, and assist with publication of your manuscript. Expecting your book to be proofread is standard, as are a couple of rounds of edits. It is also standard that a ghostwriter will fact check easily verifiable claims throughout the book, to ensure accuracy. A professional ghostwriter with editorial strategy experience will also be able to collaborate with you on determining the “hook for the book” and creating a book outline. Expect to invest a minimum of 10 to 20 hours of talking time at the beginning of the process to help your ghostwriter to understand your voice and create a structure for your book. Although proofreading, editing, and organizing may be considered standard, you should still outline these services in the contract to minimize any areas where your expectations could be misaligned. Then you get to ‘research’. Research is one of the most unpredictable elements of a project so clearly outlined responsibilities on your part and the part of your ghostwriter is crucial. The subject of the research and the expected amount (in hours) should be specified. This way, everyone knows when the work is going beyond the scope of what has been agreed and you can adjust timelines and payments accordingly. Do interviews need to be done? If so, you should specify with whom and by when. If that’s not possible, then you can specify how many hours your ghostwriter will spend tracking down industry experts or celebrities. In almost all cases, your ghostwriter will also need to interview you. You should set a number of hours of expected interview time, as well as outline travel expectations and expenses. Will the ghostwriter need to travel to your home or office? If so, the number of expected in-person visits should be included, as well as listing of any reimbursable expenses, such as gas or airfare. Ideally, your ghostwriter should be able to advise you as to how your book might best fit into the market and suggest publishing options. 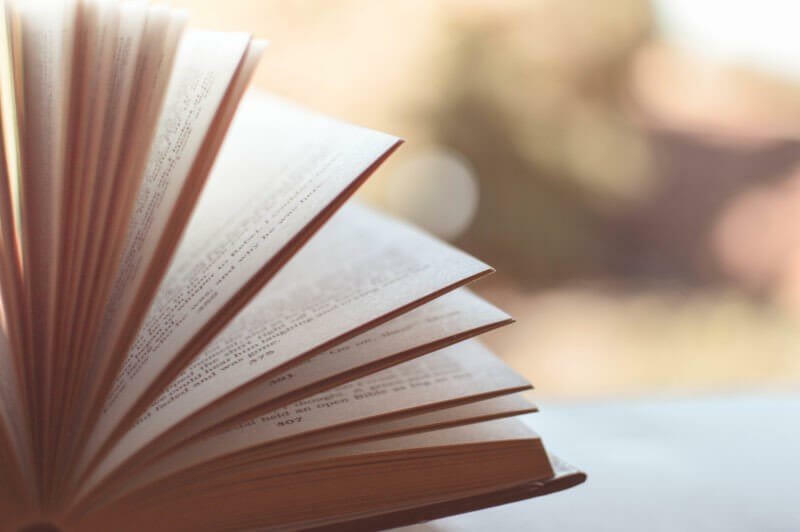 If you have decided that you will target a traditional publisher rather than self-publish, you may want help with pitching the book to them, and that service can be included in the contract, too. Your ghostwriter or ghostwriting firm may have helped pitch your book to publishers, but a guarantee that the book will be published will almost never be included in a contract. Now, one person may not be able to fulfill all these services, so you may want to engage a ghostwriting firm. Firms can often also assist you with ancillary services such as design, a book website, ebook publishing, and book launch press releases. Choosing a firm can also help you feel at ease that even sickness or death won’t get in the way of your book getting finished! The ownership of the work transfers to you completely and the contract should be crystal clear on that point. You should have full authority to claim you are the author of the book and may take full credit for it. Since you are the owner, you will have all rights to the work, including film and audio rights, domestic and foreign. You may also see something that specifies that you won’t be provided full ownership until the amount agreed upon has been paid to the writer in full. You can decide that the ghostwriter’s authorship can never be made public or you can choose to put the writer’s name as a byline on the finished product along with yours. Per your discretion, the ghostwriter could be allowed to provide excerpts of the work they did to potential clients. Before they do so, that potential client should sign a non-disclosure agreement (referred to as an NDA). The contract should also specify that you should be told when an excerpt of the work is used in a portfolio. This protects your position as author of the work. There are certain legal protections that you will want to be sure are included in the contract. In fact, these protections will go both ways. These clauses in the contract will say that the writer (your ghostwriter or firm) is responsible for anything illegal that they do and you (the author) bear no responsibility for it. And vice versa. You should be indemnified against any claims and expenses arising from infringement of any copyright or violation of any property rights that may appear in the work. Likewise, your ghostwriter should be protected from anything scandalous or libelous that you choose to include under your name. You should “defend, indemnify, and hold harmless” the other against “claims, suits, costs, damages, and expenses that may be sustained by reason of any scandalous, libelous, or unlawful matter contained or alleged to be contained in the work”. If you aren’t sure if your content will be considered libelous, consult with an attorney. Remember that your ghostwriter is not an attorney. Dan Gerstein notes that this kind of protection was crucial in one particular project that was about a very high-profile controversy where the author was involved in legal issue with the federal government. Do you like face-to-face meetings during which you can bounce ideas around with everyone else and leave with a plan of action? Perhaps your schedule doesn’t allow for that style of working or you find it preferable to receive work from your ghostwriter to look over, take time to consider, and deliver written feedback. You can discuss with your ghostwriter how you would like the working relationship to be set up and your ghostwriter can sketch out a work plan. You might include the milestones (with target deadlines expressed as a date range) you agree upon with your ghostwriter. If you are sure of your desired end date, you can then think backwards with your ghostwriter to agree upon the due dates of the various elements leading up to the finished product (like the first outline and the first draft) to make sure your book is completed by the time you need it. You could include this work plan in the contract, or it may be something that is less formal but still provides everyone with a comforting structure. The expected end date could be a crucial piece of information. Do you have an event at which you’d like to distribute your finished book, for example? The contract can lay out what happens if things get delayed due to the ghostwriter’s actions. You might include a clause that sets out a specific amount to be paid to you for each day that expires after the prescribed final deadline. But remember, the ghostwriter is also entitled to expect you to meet your deadlines. If you are somehow responsible for preventing the work from being completed, for example by withholding required information or not showing up to a meeting, then your ghostwriter is not responsible for the delay and is still entitled to be paid for the work done up to that point. When negotiating a price, bear in mind that the final fee should take into account all time spent on the project (for example, primary research and interviews), and not just on writing alone. The contract should indicate the amount the ghostwriter will be paid for their work, when they will receive payment, and how they will be paid. You can arrange payment in a number of ways. It’s possible that part of the payment could be paid in the form of royalties (in exchange for a lower upfront fee, the author may share some of the advance and royalties with the ghostwriter). But that is very rare. Many ghostwriters will ask for 50% of their fee up front and take the remainder upon completion. But it is also common for the fee to be paid in installments at the agreed upon milestones, or monthly based on the amount of time spent by the ghostwriter. No matter how carefully one prepares, life still happens, and you may find yourself at odds with your writer. So, the contract should lay out how disagreements and disputes will be handled. If your ghostwriter happens to be working in a different state from where you live or do business, you have a choice of states and you may want to consult an attorney to get advice on which state to go with. A complete ghostwriting contract should include an escape clause that works both ways. Sometimes, it is best to terminate a project when things aren’t working out and cannot seem to be remedied or re-scoped. An escape clause should include a predetermined “kill fee” paid to the ghostwriter. This means that the ghostwriter be fairly compensated for services rendered, even if you are unsatisfied with the results. Your ghostwriting contract sets basic parameters, so you know what to expect for your money. At the same time, writing a book is a creative process. It is a collaborative process, so don’t hesitate to be honest about what you want the book to do for you and to nurture your relationship with your ghostwriter. What Is A Ghostwriter And What Do They Do? What has been your experience with hiring a ghostwriter?